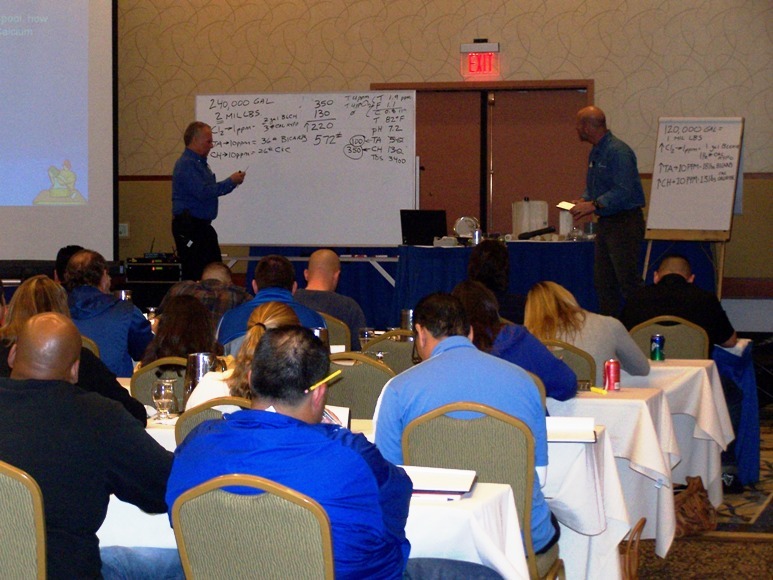 Have you noticed that everyone is now in the business of pool operation training? You have to ask yourself, where did all these experts come from? 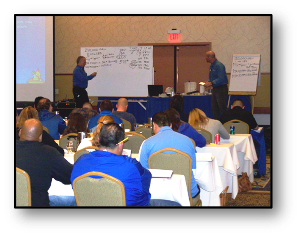 KSI started the "Pool School" concept on the West Coast in the late 1970's and adapted the course to a national certification in the late 1980's. 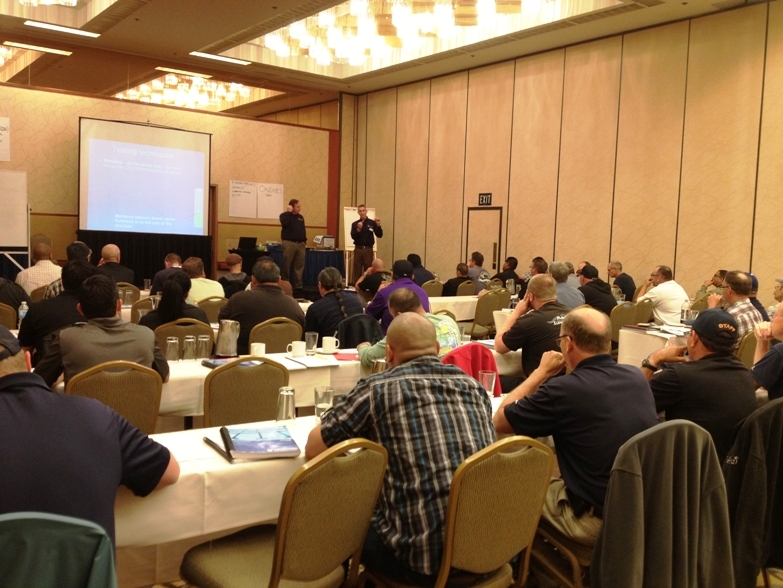 The first schools were little more than a group of aquatic professional getting together to share stories, and these gatherings became the foundation for the education needed in the aquatic industry today. 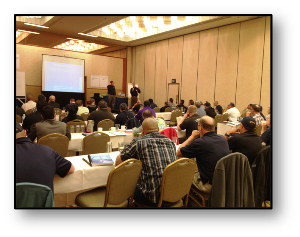 Over the next two decades KSI added various methods and styles of training as the industry evolved, including guest speakers, product samples, facility photographs, round table discussions, field trips, etc. These unique methods have assisted thousands of pool operators to learn better and absorb more information from our courses. National certification for pool operation is becoming the accepted norm and in some cases, a requirement for many facilities. There is a lot of liability at risk operating multi-million dollar aquatic centers that can serve up to a thousand people in a single day. 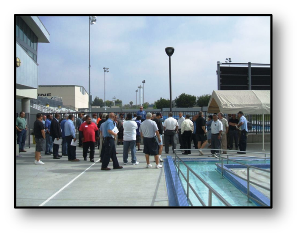 At many locations, the pool operator position can change frequently so training new personnel is very important. Additionally, pool mechanical equipment has changed more in the last 8 years than in all of the past 28 years! KSI's AFO, CPO and ATI instructors are all multi-year experienced KSI employees! Our staff brings a "real world, hands-on" approach to the education process, students learn more from trainers that have the hands on experience to explain and teach aquatics operation. KSI offers both private classes (at your location) and public classes held in centrally located host sites. We can customize any of our 3 options shown below. Let's just talk and discuss your needs and what fits your personnel and facility. "Getting aquatic training is good; being trained with accurate, up-to-date information in an enthusiastic environment is REAL VALUE"